Working Remotely For Crypto — Is it possible? Marist and NPR have conducted a poll to determine how many jobs are held by a freelance. To their surprise, one out of five jobs in the US is taken by a freelance worker. According to their research, this could mean that we would see half of the workforce switching to freelance work by 2027 if the trend continues. On the other side, freelancers are stuck with unfair platforms like UpWork, Freelancer.com, PeoplePerHour, etc. For most platforms, freelancers are required to bid, the lower you bet the better your chances are you win the job. For most freelancers, this feels like exploiting them as cheap gig workers. Added to that, they have to compete with bids from lower-income countries which makes it even more difficult to land a gig. Also, receiving the promised money for your hard work is not always as easy as it seems. These freelance platforms are tailored for onboarding employers as they have the money. This implies that employers are always favored as they are the key customer for a freelance platform and giving them revenue. It happens a conflict gets ruled in favor of the customer, even if it’s their fault. At last, fees on such bidding freelance websites can be as high as 20% which is a ridiculous amount of money for just acting as a bridge between service buyer and provider. In short, unlike a free market, control is in the hands of bidding sites and their own interests. Let’s take a look at the alternatives our crypto space has to offer. Gitcoin is a platform for freelancers and anyone who loves working on blockchain related issues like writing a technical article, finding bugs in a smart contract, developing integrations, etc. The platform itself is focused open source projects that need help with certain tasks or just want to outsource work to true experts. As a freelancer, you can claim any bounty and directly talk with the employer. If the employer agrees, he assigns you the bounty. The nice thing is that the price is fixed for the task and paid in crypto. 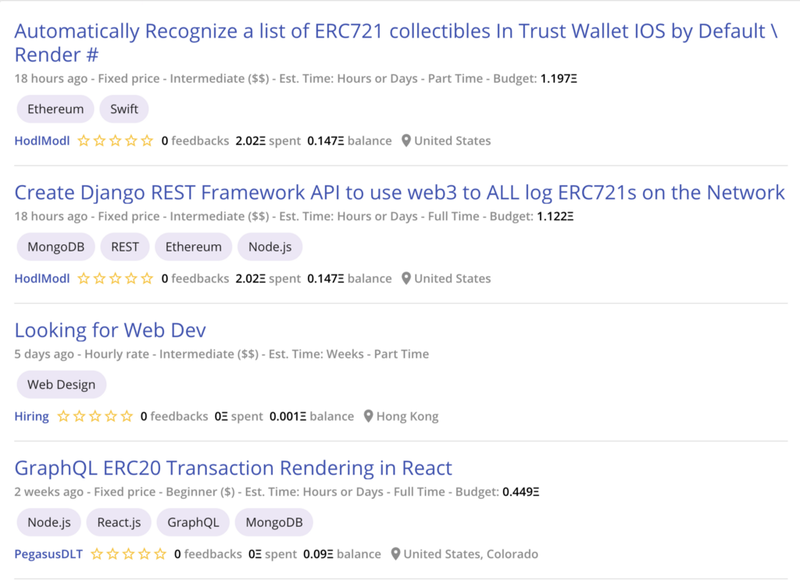 The mission of Gitcoin is to provide hard-working developers on open source projects a way to get paid for their contributions and grow the open source project. One thing that you will notice after exploring Gitcoin is that there is no token for the Gitcoin ecosystem. Any ERC20 token can be used as a payment method for a new Gitcoin bounty. According to District0x, the creators of Ethlance, Ethlance allows users to create an employer profile, list and apply for open positions, rank and provide feedback for employers, and to send/receive invoices. The cool thing is that Ethlance is not charging fees, however, users have to pay the gas costs related to broadcasting updates like invoices, posts, or messages. The only disadvantage we could find is that it only provides the platform for allowing freelancers to get paid with crypto, however, they do not have a dispute resolution system or any tracking of payments as that’s informally agreed between employer and freelancer. Tip: Always check if the employer has sufficient balance for the task he put up. At Blocklancer, whoever holds the LNC token (Blocklancer native token) is reserved a spot in the so-called tribunal. This tribunal helps to resolve conflicts between freelancers and their customers. Holding the native token gives you the decision right to vote on the dispute. The benefit of this approach is that freelancers can rely on a decentralized dispute resolution system. At Blocklancer, a 3% fee is collected when a gig has been completed. This fee is equally distributed among token holders. Cryptotask uses smart contracts on the Ethereum network to operate their freelancing platform. In Q4 of 2018, they decided to connect with Hedera Hashgraph who provide blockchain technology tailored for high transaction throughput due to its tangle (DAG technology). Besides that, it also gave Crytpotask the opportunity to lower transactions fees and improve the overall security of the platform. The resolution system consists of decentralized reviewers who are returned dividend payouts for their contributions. The major benefit is that everything happens within the platform, no need for 3rd party contractors to act as a dispute resolution system. Cryptohire is a marketplace that focuses on the niche of blockchain developers like Ethereum, Interledger, Hyperledger, Bitcoin, etc. The aim to offer a pool of blockchain expert that can assist in blockchain related projects. For a blockchain project, the benefit is that Cryptohire vets every expert and doing so, saves clients a lot of time finding the right people. Besides that, Cryptohire also takes care of the paperwork and management. 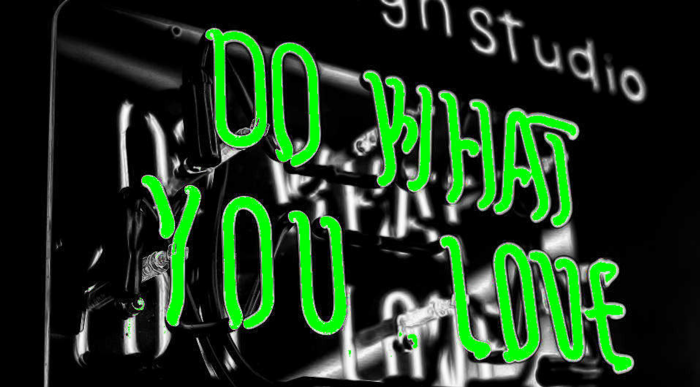 On the other side, when signing a contract via Cryptohire, you are not allowed to take on any other gig. 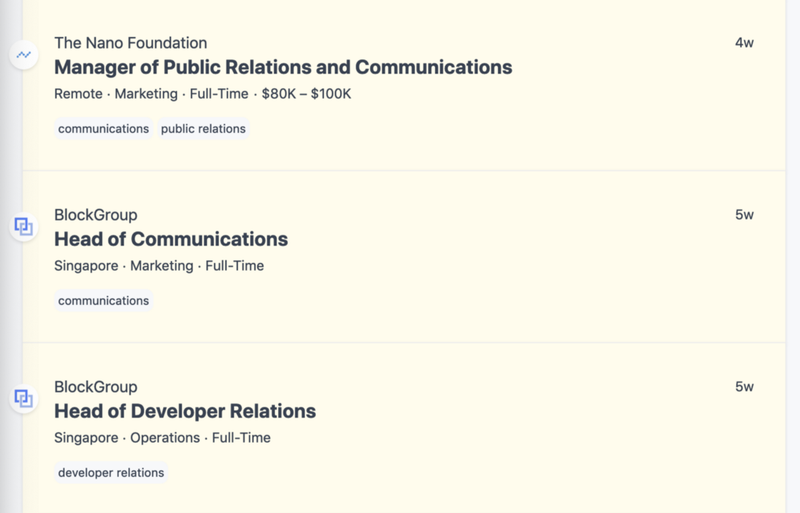 However, it’s not a big issue as most jobs on the platform include full-time work. Cryptocurrencyjobs.co has been built to be the leading portal for long-term freelance jobs for vetted crypto projects. The type of jobs you find here are mostly research and engineering related, some marketing and communications roles can be found as well. The nice thing about the website is that it doesn’t scrape other websites to get their data as the website claims the jobs are ‘hand-curated’. Of course, if you are really desperate, you can find your relief in Reddit where you have subreddits like /r/Jobs4Bitcoins/. These subreddits offer very small gigs in return for some Bitcoin. Many similar boards exist for other coins as well. Several options exist for earning cryptocurrency as a freelancer. Most of the crypto freelance platforms are occupied by blockchain projects which can be an issue for freelancers who don’t know much about the technology. I believe the market still needs to grow to find a larger variety of services asked and offered on crypto freelance platforms. Also, more clarity is needed regarding declaring taxes for cryptocurrency incomes. Working Remotely For Crypto — Is it possible? was originally published in Hacker Noon on Medium, where people are continuing the conversation by highlighting and responding to this story.